The C Family is one of the last families I photographed when I lived in FW.She was due with Sarah just two days before I was due with Phoebe and had the most adorable bump that you ever did see. I have been blessed to have photographed this family a few times during my DFW trips, and when she asked to set up a session with my while they visited family in San Antonio, I was elated! This was Sarah's first (awake) trip to the beach. 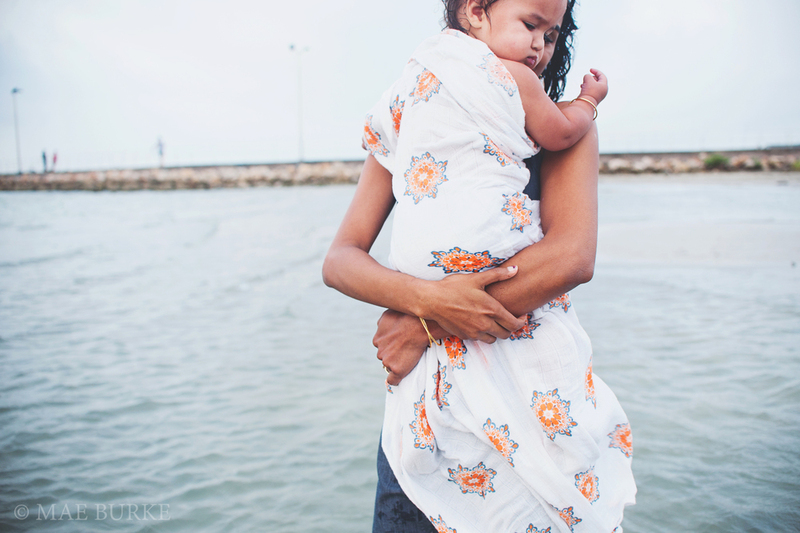 It is such a JOY to photograph babies first steps into the sea. Their reactions are PRICELESS. I don't know how you are going to chose, Anita! I could barely chose my favorites for this post! And a belated Happy Birthday! To little Miss <3 I hate that I couldn't be in DFW to photograph your birthday, but I am thrilled you came down to see me! My oldest, the one who made me a mama turns five in less than a month. The young woman that she is growing to be - one that seeks to be obedient to her parents and Lord, one that is kind and girly and full of wonder - makes my heart ache with joy. Oh my little wildflower, I love you so.